2018 was defined by Emily, who entered into our lives at the end of January. So when it comes to food, much of this year was spent taking baby steps and learning how to dine out with a little one. In rediscovering local restaurants with a baby-coloured lens, it continues to surprise us when we’ve dined at establishments with high chairs, but no change table. I’m also proud that I was able to meet my goal of maintaining this blog – albeit with fewer posts – after Emily was born. 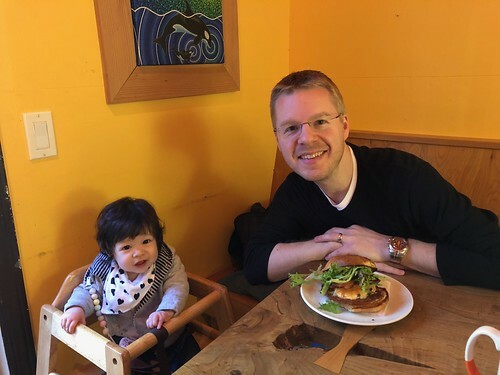 I really wasn’t sure what my life would look like with a small human to care for, but keeping up with the Edmonton food scene was a welcome exercise to keep my sanity intact! My favourite new restaurant opened towards the end of the year, with an ethos that exemplifies the culinary experience that I now crave most: unfussy and unpretentious. 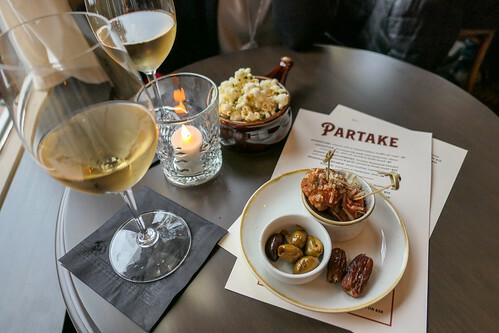 Partake is a lovely spot on 124 Street, with good food and a great vibe. 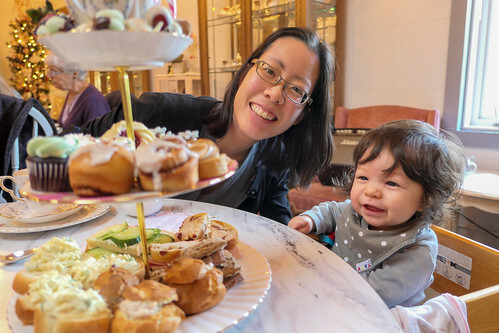 We also discovered a wonderful new high tea option in the city at The Art of Cake that also happens to be Emily-friendly! 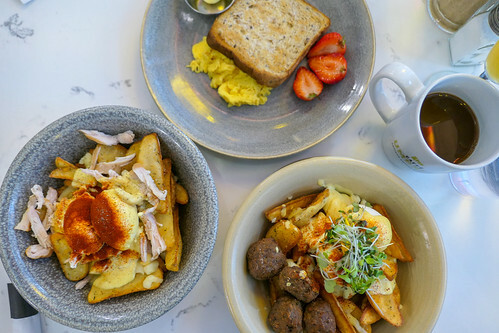 I definitely had more time for brunches this past year, so it was perfect timing for Calgary-based OEB to roll into town. Eating my way through the breakfast poutine portion of their menu will take me well into 2019. I was still on a sweets hangover from my pregnancy (my strongest craving while carrying Emily was baked goods of all sorts). 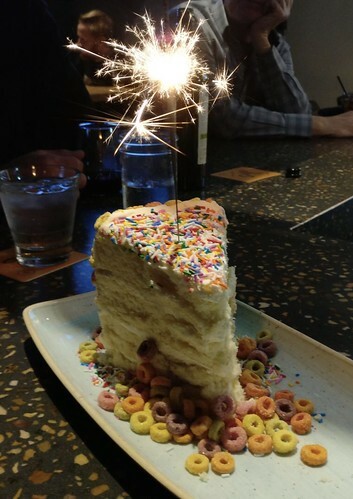 No dessert was more spectacular – or fun – than the Fruit Loop-dusted confetti cake from Rebel. 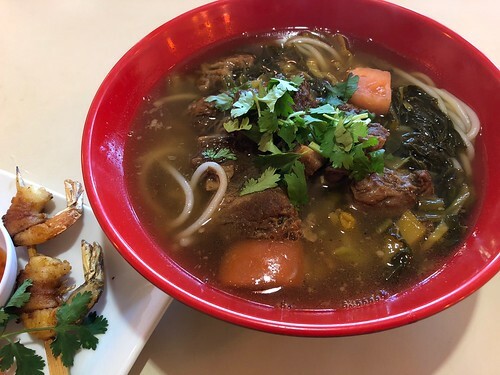 It was great to be a part of a volunteer team who successfully organized the inaugural Chinatown Dining Week in January (if you missed it, the event returns for a second year starting this week)! 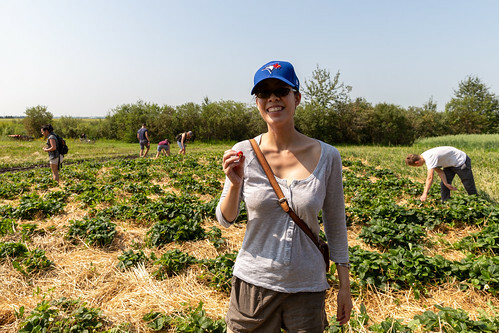 We continued our tradition of visiting farms of producers we frequent. This year it was a tour of Sundog Organic Farm. 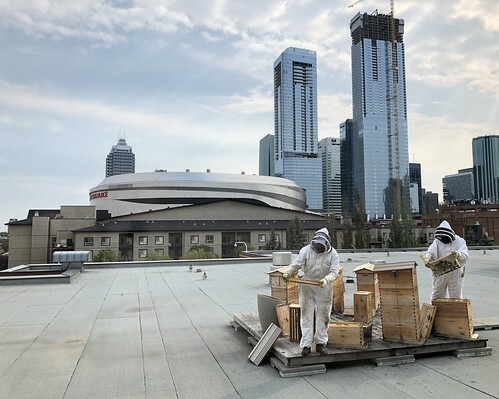 I also had the opportunity to see some urban agriculture even closer to home – the rooftop hives are a sight to see at MacEwan University. 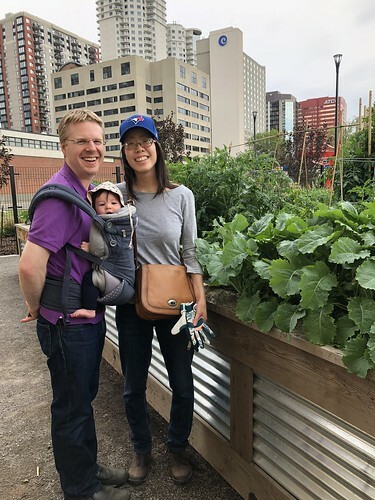 Speaking of urban agriculture – Mack and I embraced community gardening this year, and found that our life was better for it. Mack and I were fortunate to do some travelling this year, with stops in Canmore and Kananaskis, and a short flight to a Vancouver Island getaway in Sooke. It was a year full of change, but without a doubt I’m having the best time of my life. Here’s to 2019!